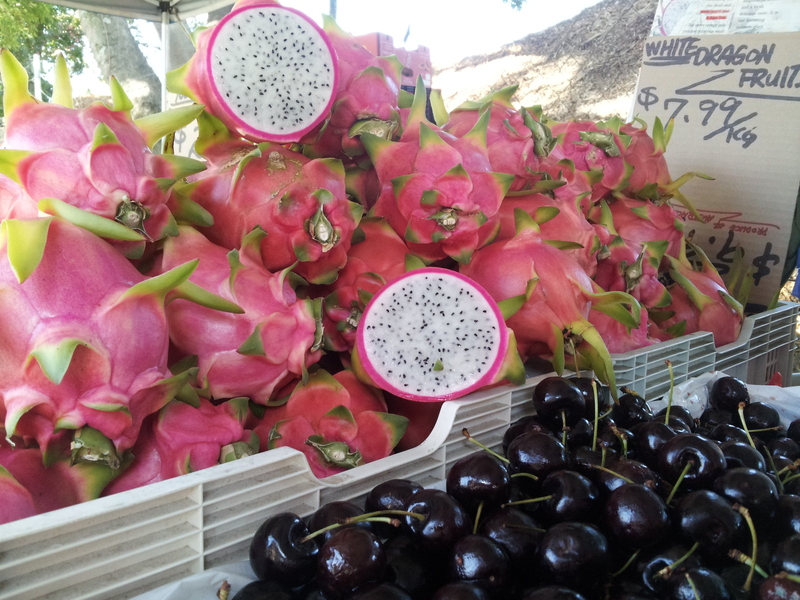 Full-bodied dragonfruit get ready to roar. Author image. It's a kaleidoscope of colour, a cacophony of sound, a symphony for the tastebuds. I'm talking about West End's legendary Davies Park Market, previously known as the Green Flea Markets. Held every Saturday morning from 6am until 2pm, these markets boast some of the coolest, grooviest, greenest, funkiest, freshest produce, accessories, food stuffs, homewares, hats, bric-a-brac, jewellery, cosmetics, plants, flowers and more. Because of the Davies Park Market's well-deserved and growing popularity, it must be said that things can sometimes get, well, a little hectic. Here's a six-step guide to help you hone in on the good bits, navigate the hot spots, sidestep the pitfalls, and get the most out of your visit. Slip in your nose ring, arrange your dreadlocks, wear a singlet that showcases your tattoos and you'll fit in just fine. Want the freshest produce and the breeziest transit through the stalls? Arrive bright and early to beat both the heat and the crowds - ideally at the 6.00am opening time. We descended around 8.00am on a 37-degree summer's day and, although the markets offer plenty of shade, we were wilting along with the stallholders' leafy greens by 9.30am. If you're planning to arrive any later than that, be sure to bring a cattle prod. Hippy Spin Tops. Author image. If you haven't followed tip one (above), allow plenty of time for parking. Onsite parking on the grounds of Souths Rugby League Club costs $3 and you'll likely have to queue. Smart shoppers park a little distance away and walk to the markets. Or take public transport. Be prepared. It's the key to making the most of your shopping experience. Bring more cash than you think you'll spend. You'll be tempted left, right, and centre, and most vendors are strictly cash-only. As a consequence, the queues for the ATMS can be just as long as those to the carpark. Bring bottled water (or be prepared to buy it). Take your own shopping bags or trolley. Fancy stopping for a bite to eat? Bring your own deck chairs, or picnic rug, so you don't have to hover, vulture-like, as you wait for others to vacate their tables and chairs. Gone to the dogs? 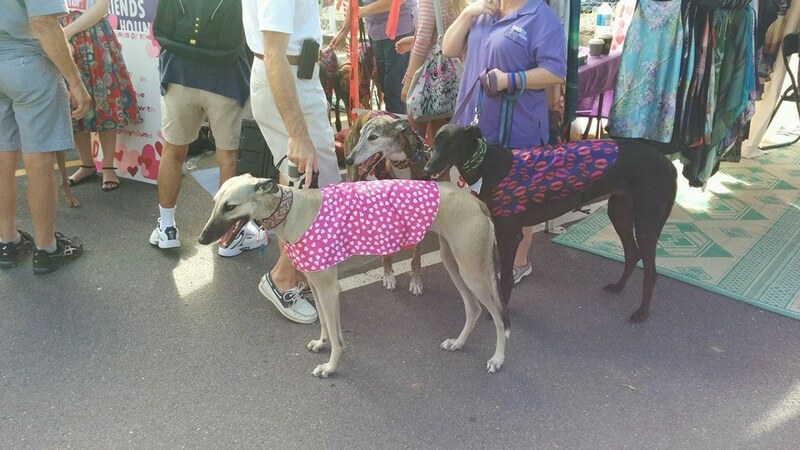 Image courtesy Davies Park Market. Bring your dog so long as he or she is on a leash. Markets which open their gates to companion canines are few and far between. In my estimation, this is one of the standout benefits of shopping at the Davies Park Market, and if you're as crazy about your dog as I am, you'll feel the same way. Their presence adds to the energy, and the casual atmosphere, of the market. Just be prepared for the occasional dust-up between dominants. Being weather-wise will ensure you dress for optimal comfort. On sunny days, you'll need a hat, sunglasses and sunscreen. When rain is forecast, be sure to pack an umbrella, raincoat and gumboots. You may not have imagined yourself sipping on a freshly-opened green coconut, having your hands hennaed, slipping on a tie-dye T-shirt, picking up pimientos, burning exotic incense, submitting to a shiatsu massage, or having your eyebrows threaded. 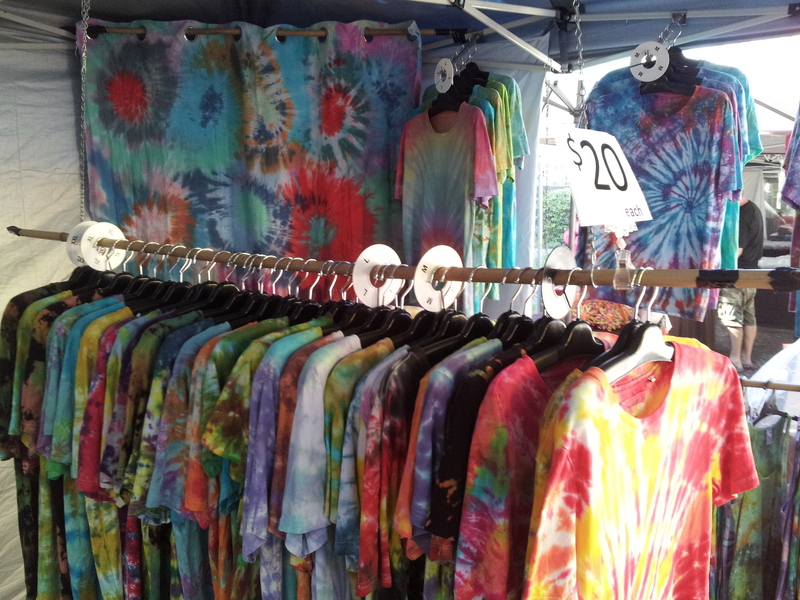 But Davies Park Market is a great place to unleash your sense of adventure. Chat to the stallholders. You might hear (as I did) a few interesting stories - for example, the fruit-seller's dragon fruit comes handpicked from her uncle's farm, while the owner of Hippy Spin Tops describes her business as 'a hobby that got out of control'. Dive in. Do it. Sample everything this market has to offer, or you'll be missing out on the fun. 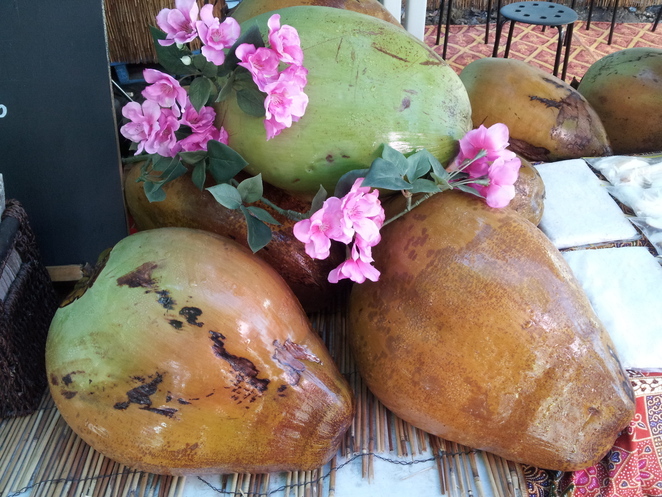 Nuts about coconuts. Author image. Helloooo Damsel, great tips, one of Brisban'es best markets for sure, but jam packed. Good to know pooches are allowed, somewhere to take the poodle for an outing and kill two birds with one stone. Thanks guys. Don't like leaving my dog on her lonesome, so always looking for ways to include her in family outings! If its markets that allow dogs you're after then Northey St on a Sunday morning have plenty of pooches, as do the Powerhouse ones (not as 'flamboyant' as Davies Park ;)) - unless that has been changed. I've stopped taking mine as the tangle of leads and trollies gets a bit too frustrating when you're trying to do the weekly shop as well, but good luck to those of you that can juggle it! There's a great dog treat stand there too!